As the days have been getting much longer, I’ve been making the most of them by going for ever-more evening walks with Rudi. I headed out for one of these yesterday evening at Swallowfield Park, one of my usual haunts. The light, of course, is completely different in the evening and so these very familiar views can be utterly transformed, with new photo opportunities presenting themselves in places where you had thought you had exhausted every shot. This is what happened as I walked along the Blackwater overlooking the large field full of sheep and lambs, as the setting sun caught them at my favourite angle, “igniting” their fleecy coats with golden light and casting long shadows on the ground. There’s something very special, in any case, about an evening walk in golden sun; something altogether more mellow in the air than at other times of the day and I’m sure its something that Rudi picks up on as he’s always more exuberant than ever on these walks. So, a stunning evening stroll generated a whole lot of sheep-shots which I’m particularly pleased with, not only as “material” to work from but as a pleasing collection in its own right. 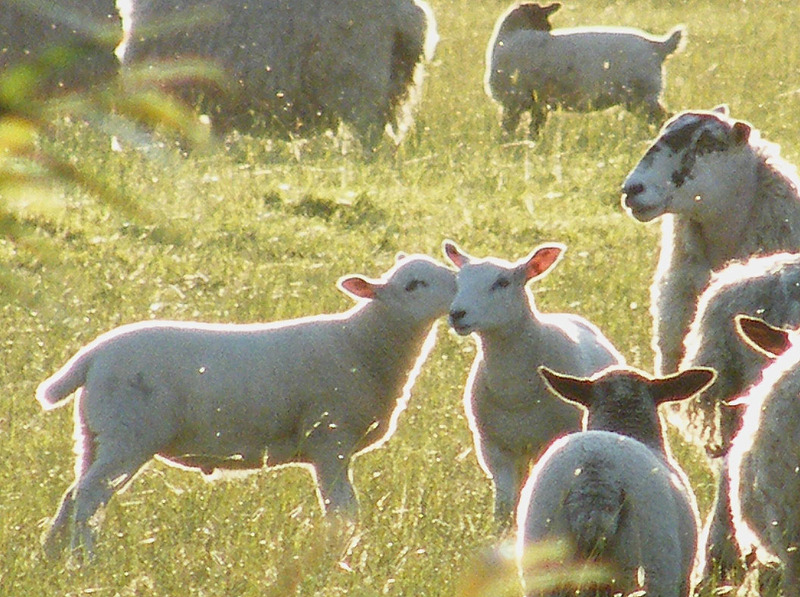 This entry was posted in Art, Art technique, Biography, Health & wellbeing, Nature, Personal Development, Photography, Walks and tagged flock, lambs, longest day, sheep, sunlight, Swallowfield Park. Bookmark the permalink.